This is a week where your Fantasy savvy and stability will truly be tested. For the first time this season (and not the last) there are six teams on byes. Get through these kinds of situations successfully, and you will truly have earned your playoff berth down the line. You may be anxious or fretting about not setting an ideal lineup, but many of your league mates, including your opponent, may be in the same situation. So set your lineup as usual and remember you can’t control anything after that. Make the most informed decisions possible, and your chances to win this week should be close to any other. Isaiah Crowell, Jets: He is the biggest roller coaster ride in Fantasy Football at his position, but he should be good for thrills this week. The Dolphins allow 24.76 Fantasy Points Per Game to opposing running backs on NFL.com, fourth most in the league. New York needs to run the ball effectively to take pressure off rookie QB Sam Darnold, who has an injury-depleted receiving crew right now. Lamar Miller, Texans: The resurgent Miller will be looking to clear the 100-yard mark for the fourth consecutive week when he takes on the Broncos. This will be a prime matchup for him to succeed, as Denver has allowed 1007 rushing yards to running backs, most in the AFC. For at least one more game, you should be able to rely on Miller for your Fantasy needs. Jordan Howard, Bears: Since the fourth game of the season, the Chicago offense has been a potent unit, and Howard is their best finisher as a runner close to the goal line. The Buffalo defense will spend way too much time on the field against the Bears, who should be able to impose their will on both sides of the ball. Buffalo has allowed seven rushing TDs, tied for the third most in the league. Devontae Booker, Broncos: This is a PPR play if you are very thin at the position. Phillip Lindsay is clearly the Broncos leading RB, but Booker can play a serviceable complementary role, especially with Royce Freeman battling an ankle issue. Booker totaled 101 yards from scrimmage last week, is a pass-catching threat, and the Texans have allowed an NFL-high five receiving TDs to RBs. 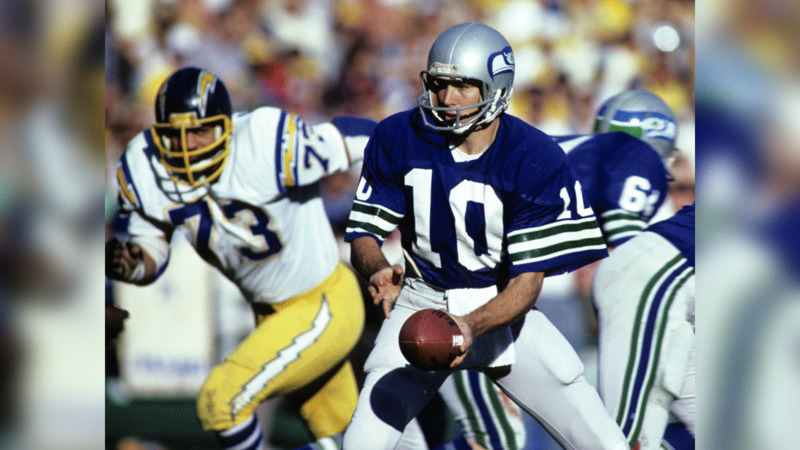 David Moore, Seahawks: It was against the Chargers in the preseason that Moore flashed a major sign of things to come, with a 52-yard reception in the second exhibition game. After four TD receptions in his past three regular season games, the second-year downfield playmaker is firmly on the radar of most knowledgeable Fantasy participants. After a 97-yard outing against Detroit, Moore is a very alluring lineup selection this week against the Chargers' 18th ranked pass defense in yards allowed per game, especially with six teams on byes. D.J. Moore, Panthers: The rookie had his best yardage output of the season (90) in Week Eight and he has a tasty matchup in Week Nine. The Tampa Bay pass defense has allowed 31.07 FFPG to opposing wide receivers, third most on NFL.com. Moore can make tough catches on key downs and has good yardage-after-the-catch skills, adding a unique skill set to the evolving Carolina passing game. DeVante Parker, Dolphins: He has yet to earn the trust of Fantasy players, but Parker delivered a career-best performance in Week Nine, catching six passes for 134 yards. You should ride with the possible momentum of a very positive outing, and it could carry into a friendly matchup in a rivalry game vs. the Jets. New York has allowed 1,535 receiving yards to opposing WRs, the second highest total in the AFC. Josh Gordon, Patriots: He has quickly developed into the niche deep threat in the New England passing game, and that is often a significant role in the Patriots offense. Plus, as a bigger target, Gordon also is a threat in passing situations near the goal line. The Packers have allowed 12 TDs to opposing wide receivers, the second highest total in the NFL. Chris Herndon, Jets: This is an option if you need to dig deep at TE this week. The rookie Herndon has scored in three consecutive games, and the Dolphins have allowed five TD passes to the position, second most in the league. David Njoku, Browns: He was silent last week, but with some new coaches and a good matchup, you should maintain faith in Njoku this week. The Chiefs have allowed 596 receiving yards to Tight Ends, the second-highest total in the league. Dak Prescott, Cowboys: The Cowboys play much better at home, where they host the Titans this week. Tennessee has 15 sacks, the fourth lowest total in the league, and Prescott has shown recent signs of re-emerging as a serious dual threat passer and runner. The addition of Amari Cooper and the presence of Ezekiel Elliott balances his supporting cast, and he will make key throws to get his new premier WR involved in his Dallas debut. The Chargers have the 10th-ranked run defense in the NFL, and have allowed three rushing TDs, the third-best number in the league. But the Seahawks ground game will be up to the task, as their 134.7 rushing yards per game now ranks fifth in the league. Chris Carson remains a must-start Fantasy RB2 in Week Nine. Los Angeles ranks 21st in the league in sacks (18) and with time to throw behind a rapidly improved offensive line, Russell Wilson has the potential for another outing where he is highly efficient as a downfield passer and TD producer. Right now, Wilson is very impressive in terms of not needing high volume to deliver quality Fantasy production. Across the Fantasy industry this week, he widely considered a Top 12 starter at QB. Tyler Lockett has become an every-week play as a WR3, and should especially be locked into lineups with six teams on a bye. After two catches for 54 yards and a TD in his Seahawks debut last week, Ed Dickson deserves starting consideration if you need a bye week plug-in. For more Week 9 advice and tips from Scott Engel and the RotoExperts team, get the Xclusive Edge Fantasy Football Package on RotoExperts.com. Use promocode “seahawks” at checkout for a special discount.